*REARVIEW BACK-UP CAMERA, *REMOTE KEYLESS DOOR ENTRY, *POWER WINDOWS, *POWER DOOR LOCKS, *LOW TIRE PRESSURE WARNING, *CRUISE CONTROL, *TRACTION CONTROL, *SYNC, *POWER DRIVER SEAT, *17'' ALLOY WHEELS. *Inspected by a Certified Technician! Clean CARFAX. We have serviced the vehicle and it's ready for immediate delivery! 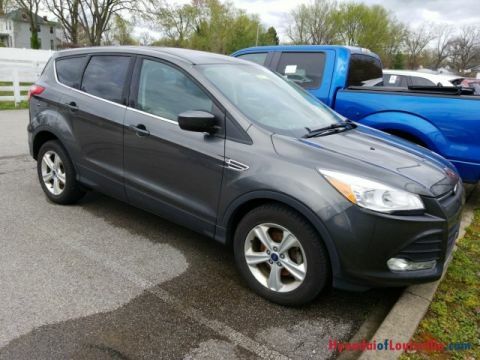 No need to worry about fuel mileage with this Escape! It features a fuel-friendly 1.6L EcoBoost 4 Cylinder engine. Estimated 32/hwy, 23/city mpg! Put your fuel cost worries behind you! All-around great SUV! Seats up to 5 in the comfortable, stylish interior with plenty of room for cargo storage. Also has an abundance of safety features such as ABS Brakes, Front-Side Air Bags, and Knee Airbags. Save by purchasing pre-owned! 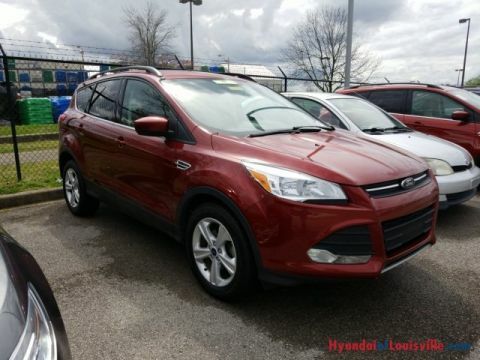 Drive here in your vehicle and leave in this spectacular SUV! 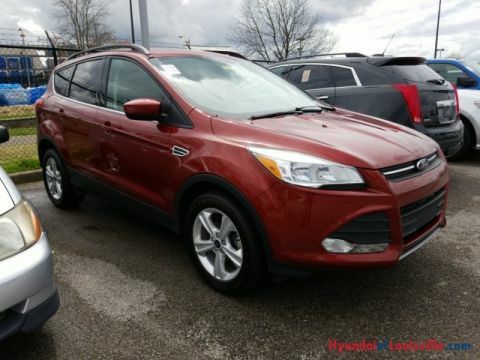 Give your family the security, performance, and comfort that only come from owning an Escape. Call now and schedule a personalized test drive! LIFE TIME LIMITED POWERTRAIN WARRANTY!! We offer the best backed cars in the business. We can arrange financing for anyone. Call Hyundai of Louisville @ 502-214-4200 or click "contact us" for more information.